Will TC score a Saturday winner or two? "Shady McCoy several good efforts to his name here, and hopefully things will fall right for him, although this would be the highest mark he has won off." 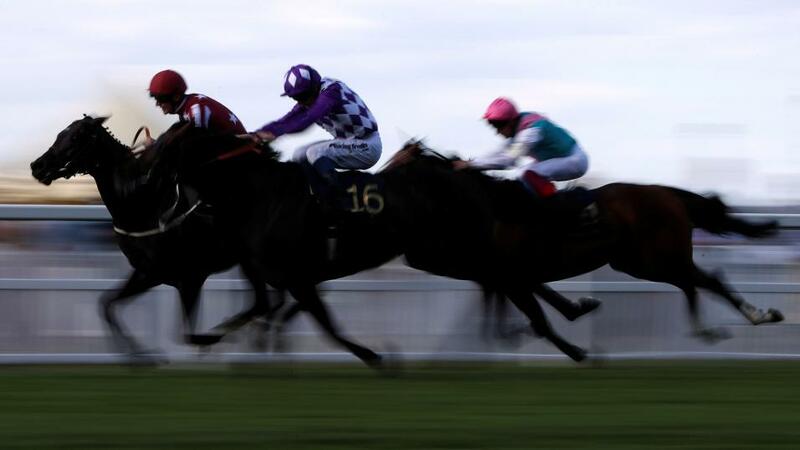 There isn't a great deal rocking my world on the punting front on Saturday, but my bet of the day is probably Shady McCoy at [17.0] and [3.75], win and place, in the Challenge Cup handicap at 15:35 at Ascot. Now, I am fully aware that this is one of those 7f handicaps in which you could make a plausible case for any of the 18 runners, if asked, but Shady McCoy should surely be getting a bit more respect in the market than this. He has found winning hard of late, and he hasn't obliged since winning over course and distance at this meeting last year and then following up at York, but that is hardly surprising when you are contesting the competitive handicaps he does. And he is rarely given too much help from the assessor, as he never goes too long without a big run in defeat. But he has at least been dropped 1lb for his fourth over 1m here last time, and there is no doubt in my mind that he is better at this 7f trip and with a fast pace and big field to run at and through. He ran a blinder from a disadvantageous draw when second to Burnt Sugar in the Bunbury Cup, and I was on him here on his following start, when he again was drawn away from the main action when 10th to the same rival. He has several good efforts to his name here, and hopefully things will fall right for him, although this would be the highest mark he has won off. The Ian Williams stable is chugging along at an impressive 26% strike rate of late after having a great 2018 as a whole. Ripp Orf loves it here and looks rock-solid back on his favourite stomping ground, and he would be my unoriginal pick of the remainder. First Eleven looked really good when winning a handicap off 97 here in a quick time, and I am in no rush to oppose him as he steps up in class to contest the Cumberland Lodge at 14:25. However, odds of 11/8 are probably short enough in what could be a messy, tactical race - Communique could get the run of the race from the front again - so let's move on. One of my lowest betting moments of 2017 came in the opening 5f Listed race at 13:50 when Just Glamorous won at 33/1 (and a Betfair SP of [46.0)]. He turns up again here. I had my copy written with him as a tip and for some reason I pulled away at the very last minute before filing. I left the reasoning in, but not the recommendation. I actually ending up backing him at 50/1 and 40/1 before the race, and nicked a fair few quid as he made all - cue after-time jokes, but say what you want, I don't care - but I have never been so sick at winning money. I was at a mate's barbecue watching the race, before going out with the missus in the evening and was also seven days into a dry October. But I was so disgusted at not tipping him - and I genuinely would rather tip a 33/1 winner than back it - I drove straight down to Waitrose in Esher (ed: other supermarkets are available), loaded up with gin, cancelled the night's plans (that went down well) and got drunk. As for this this year's race, it is no bet again, though I haven't pulled out late as I never fancied anything. The Group 3 6f sprint at 15:00, is a bit more competitive than Limato's price around 5/2 suggests, but nothing screams out at me at the prices. I am never one to force a bet, so I will sit this out, although I must admit that the 25/1 about Hey Jonesy in first-time cheekpieces was winking at me. At his best, this Middle Park fourth and Commonwealth Cup fifth, could give these all a fright. The betting for Newmarket's 6f Fillies' Sprint handicap at 14:05 is dominated by three fillies in the shape of Fille De Reve, Perfection and Indian Tygress, and I would favour the latter at the prices. She was very impressive when quickening up well to win at Kempton and, although I wouldn't go overboard about the form - the second and fourth have beaten well beaten since, though the third was beaten only a neck next time off the same mark - a 7lb rise is manageable. Her breeding obviously pricks up the ears - she is a Sepoy half-sister to the stable's star sprinters The Tin Man and Deacon Blues - and that suggests that her current mark of 83 could underestimate her, too. She is worth an each-way nibble at 5/1, though potential downsides are lack of experience and quick ground (which is an unknown). The midweek 4/1 about Wind Chimes in the Sun Chariot at 15:05 has long since disappeared but, against that, a stronger than expected field has rocked up for his Group 1 prize over 1m. So I can't get overly-excited now at around the 11/4 mark, for all she is the most likely winner and her Moulin second makes her the form horse. But you can make a case for three or four against here at the prices, and it just looks a little bit too trappy for me. Over at Redcar, we have the Two Year Old Trophy at 14:45 and nothing is really floating my boat the prices there either. There is a fair bit of rain forecast for Friday and Saturday, so keep an eye on the ground. This 23-runner heat is around 6/1 the field - little wonder the Betfair Sportsbook are enticing you in with an extra place - and is clearly devilishly difficult. Vintage Brut is surely the rightful market leader at these weights - he is officially the best horse in here alongside Swissterious and gets 3lb from that rival - and has three efforts to his name which would see him go close in this race, not least when just touched off (after trading at 1.04 in running) in heavy ground at Ayr last time. Quicker ground here should be fine and connections clearly think first-time cheekpieces (the stable are six from 38 with this option since 2016) will help, too. But I can't get excited by his price, especially as his market rivals Swissterious and Red Balloons, who relished the step up to this trip for the first time at York, are as appealing in their own way. And that's before you look at the claims of the other 20. No, I'll leave alone, ta. Back tomorrow with my Arc day thoughts, and some big-priced plays. Back Indian Tygress at 5/1 each way with Betfair Sportsbook in 14:05 at Newmarket (or similar prices on exchange).